We recently attended a conference at Australia House in London to find out a little bit about Australia’s new SkillSelect migration program which will be brought into effect in July 2012. The program will be implemented on the basis that it will increase job prospects for skilled migrants, as well as increase productivity in the work force. It quickly became clear that the Department of Home Affairs is still very focussed on controlling population growth, as this needs to be kept at a sustainable level. The government has identified that population numbers have been heavily fluctuating in recent years and as a result, has lead to multiple policy changes. With population in a state of flux, the government’s primary objective is now to stabilise growth after the recent economic crisis. Current net overseas migration (NOM) is running at approximately 170,000 migrants per annum – a figure that has been lowered dramatically since 2009 when Australia was running at peak migration (approximately 250,000 migrants p.a.). Obviously having continuous policy changes isn’t ideal, however moving forward the DIAC have now developed a scheme which should aid the skill shortages and also help balance population growth. The SkillSelect migration program will be concentrated on improving the employment prospects of potential migrants before they arrive in Australia. Each state will be given an annual quota for positions within a certain sector. Once the annual quota has been met, that particular state will no longer be able to sponsor migrants within the sector which has reached its capacity. Migrants seeking sponsorship will need to complete an Expression of Interest (EOI) form through the DIAC website. 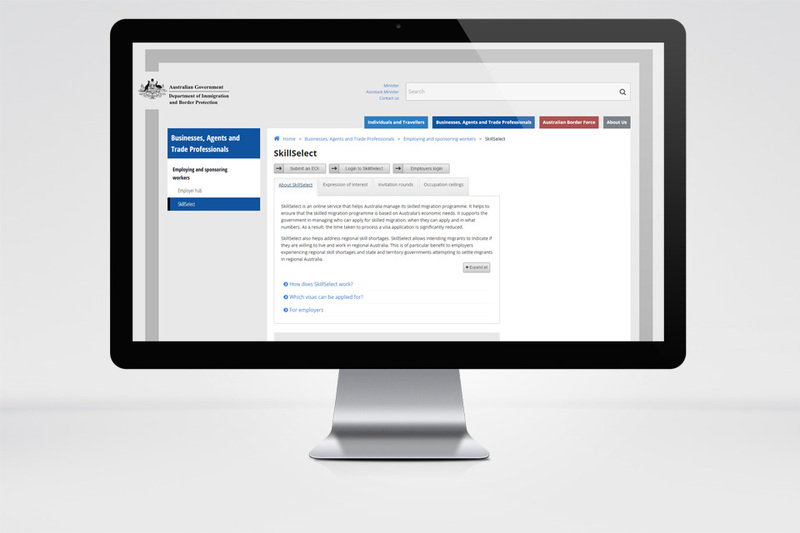 EOI’s can be saved and updated as required and system also enables prospective employers to find potential employees through searching a database, or by matching skills / employment specifications. Why is this important? Visa processing times within the current skilled migration program can be fairly long. With the new system in place, visas for skilled migrants with skills in high demand can be easily expedited and will therefore dramatically decrease visa processing times. Policy changes often change the way we process visas, however as we learn more about the new systems and processing details, we will keep you informed and updated.